Karolina Pliskova became the final player to qualify for the WTA Finals on Wednesday after Kiki Bertens' loss at the Kremlin Cup sealed the Czech's spot at the season-ending tournament for a third straight year. 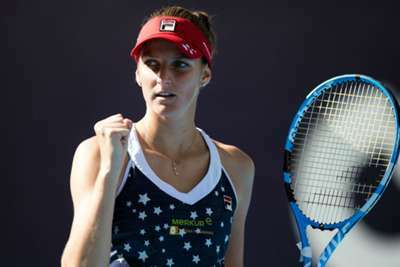 A semi-finalist in Singapore in 2017, Pliskova needed a helping hand to reach the event this year having been beaten in straight sets by Vera Zvonareva in the second round of the Kremlin Cup. Had Bertens made the semi-finals in Russia, she would have claimed the last remaining spot, yet she followed Pliskova in suffering an early exit on Wednesday, losing in three sets to Aliaksandra Sasnovich. Elina Svitolina's WTA Finals place was also confirmed on Wednesday, with Simona Halep, Angelique Kerber, Naomi Osaka, Petra Kvitova, Caroline Wozniacki and Sloane Stephens also in the running for the $7million prize. Pliskova, who has won two titles in 2018, told the WTA's official website: "I'm delighted to be appearing at the WTA Finals for the third time. "I have such great memories from playing in Singapore in 2016 and 2017, and I can't wait to close out the year competing against the other elite players of 2018."